Special birthdays, housewarming, anniversaries and bar mitzvahs - there are so many reasons to throw a party. Whatever your reason is for celebrating, everybody loves a party! We know we do! At Grice Foster, our Norfolk party marquee hire service can help make your party the one everyone is talking about for years to come. 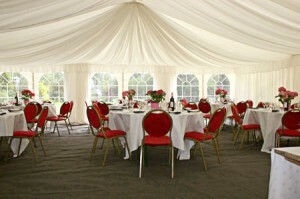 Why hire a marquee for a party? There are so many reasons to hire a marquee for a party but here are just a few of the best ones. 1. You can have your party anywhere you want. The best thing about marquees is that they move! Which means you can choose to have your party (almost) anywhere you want. All we require is a flat surface and enough space to put your marquee up. There are numerous ways you can decorate a marquee to give your party that unique look. From lighting to drapes, furniture and dance floors everything is customisable. 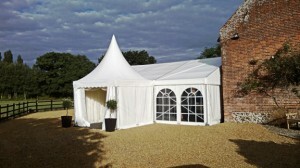 So if you've got a specific theme or look in mind a marquee can help make that vision a reality. When you originally planned your gathering, it was just for a few close friends. But everyone seems to have found out and you've just realised it'll be standing room only in your kitchen. A marquee can be the perfect solution to extend your venue and keep your guests warm and dry. At Grice Foster, our experienced team understand how important your party is. There are no second chances. That's why we offer a free site visit with friendly helpful advice and a no obligation quotation. We want to listen to your requirements first hand and discuss how we can help contribute to making your party extra special. Tell us about your party plans and get a no-obligation quotation by clicking the button below.